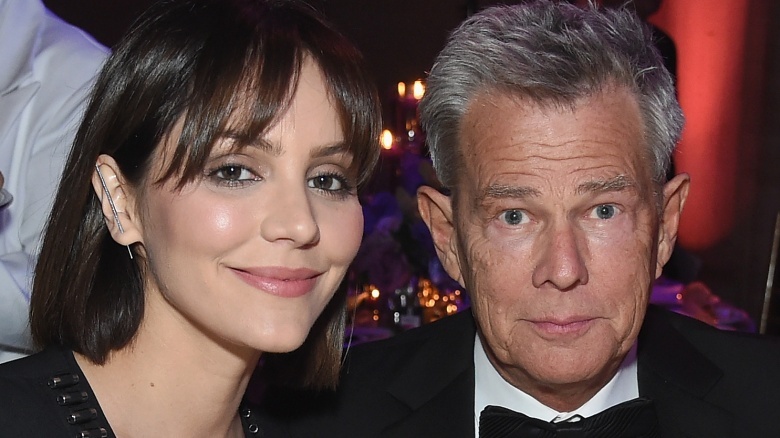 Singer-actress Katharine McPhee and her music producer fiancé, David Foster, are preparing for their big day. According to an Us Weekly exclusive, published on Tuesday, Jan. 29, 2019, the celeb couple reportedly won’t be following the lead of actress Priyanka Chopra and singer Nick Jonas’ nuptials when it comes to planning their own wedding. “David and Katharine are leaning toward a small wedding,” a source cited by the magazine claimed. Noting that “they haven’t done any major planning yet, or even set a date,” the insider suggested that their wedding may take place in either the “summer or fall” of 2019, after McPhee ends her current run in the West End production of Waitress in London. Of the heightened media attention surrounding their engagement news, Foster later told Access Live, “We’re all great, we’re all happy. And you know, for some reason, the two of us, one plus one makes four instead of two. So it seems like it’s interesting news to people, so we’re just gonna roll with it.” Readers may remember that the music icon was previously married to Real Housewives star Yolanda Hadid. Foster and McPhee’s marriage will mark his fifth and her second.